Manuscripts should not exceed 15 double-spaced pages. The size of the page can be either A-4 or 8.5x11 inches. Allow 4cm or 1.5 inch from the top of each page. Provide the title, author(s) and affiliation(s) followed by your abstract, suggested keywords, and a brief biographical note. A printout or PDF of the full text of your manuscript should be forwarded to the office of TextRelease. A corresponding MS Word file should either accompany the printed copy or be sent as an attachment by email. Both text and graphics are required in black and white. iii. The more complete and accurate a reference, the more guarantee of an article's content and subsequent review. vii. If the document type is known, it should be stated at the close of a citation. viii. If a citation is revised and refers to an edited and/or abridged work, the original source should also be mentioned. I/We (the Author/s) hereby provide TextRelease (the Publisher) non-exclusive rights in print, digital, and electronic formats of the manuscript. In so doing, I/We allow TextRelease to act on my/our behalf to publish and distribute said work in whole or part provided all republications bear notice of its initial publication. I/We hereby state that this manuscript, including any tables, diagrams, or photographs does not infringe existing copyright agreements; and, thus indemnifies TextRelease against any such breach. I/We confer these rights without monetary compensation and with the understanding that TextRelease acts on behalf of the author/s. The Journal Editor first reviews each manuscript submitted. If the content is suited for publication and the submission requirements and guidelines complete, then the manuscript is sent to one or more Associate Editors for further review and comment. If the manuscript was previously published and there is no copyright infringement, then the Journal Editor could direct the manuscript straight away to the Technical Editor. 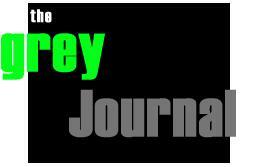 Once the journal article has completed the review process, it is scheduled for publication in The Grey Journal. If the Author indicated on the signed Copyright Form that a preprint of the article be made available in GreyNet's Archive, then browsing and document delivery are immediately provided. Otherwise, this functionality is only available after the article's formal publication in the journal.